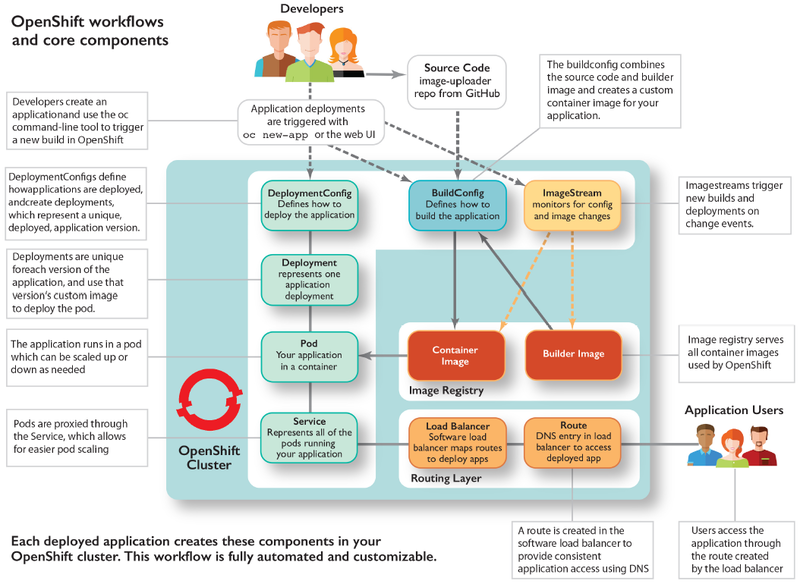 From OpenShift in Action by Jamie Duncan and John Osborne. Take 40% off OpenShift in Action. Just enter code mmduncan into the discount code box at checkout at manning.com. OpenShift in Action is a full reference to Red Hat OpenShift that breaks down this robust container platform so you can use it day-to-day. Combining Docker and Kubernetes, OpenShift is a powerful platform for cluster management, scaling, and upgrading your enterprise apps. It doesn’t matter why you use OpenShift—by the end of this book you’ll be able to handle every aspect of it, inside and out! This diagram shows you how it works.